Good news for anyone who is filing trade marks into Rwanda -- and also for any enterprising Rwandans who are planning to spread the influence and the protection of their brands. 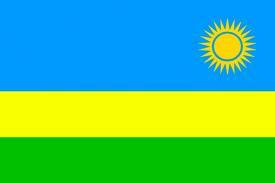 With effect from 17 August, Rwanda will be a Madrid Protocol country. The full text of the WIPO notification, here, appears below. Of neighbouring countries with which Rwanda currently has a good deal to do economically and commercially, only Kenya is already a Madrid Protocol country. The Director General of the World Intellectual Property Organization (WIPO) presents his compliments and has the honor to notify the deposit by the Government of the Republic of Rwanda, on May 17, 2013, of its instrument of accession to the Protocol Relating to the Madrid Agreement Concerning the International Registration of Marks, adopted at Madrid on June 27, 1989 ("Madrid Protocol (1989)"), as amended on October 3, 2006, and on November 12, 2007. The Madrid Protocol (1989) will enter into force, with respect to the Republic of Rwanda, on August 17, 2013.